Steel frame construction Weather resistant seat Seat Height Adjusts 17” to 24” Swivels 360* Foot Rest EZ Chair weighs 16lbs Holds up to 300lbs ..
Steel frame construction Weather resistant seat Folds up for easy carrying Removable carry strap Wide base for stability Swivels 360* EZ Chair weighs 15lbs Holds up to 300lbs .. The hunter's light is a versatile light that works in the blind as well as around hunting camp. 20 green LED's on outer edge with 3 white LED's in the center Bright white LED's illuminate blind before and after your hunt Uses 4 AA batteries (not included) ..
HME Archer's Ground Stake. A great alternative to wire-style ground bow holders. 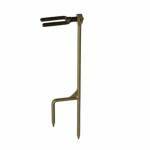 Easily and securely steps into the ground to provide a stable means to support your bow. 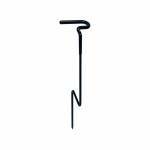 Bow holder fork rotates 360 degrees and viny coating protects bow from damage. 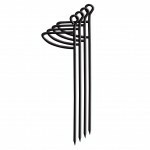 This product includes an adjustable arrow-holding ring that easily accomodates six arrows. .. Unique patent-pending design lets you place the Gun Rest over the upper cross rails of the blind hub. No tools necessary. 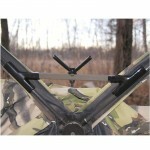 Stable design allows you to easily move the rest to any side of the blind V-bracket swivels 360 degrees for any shot .. 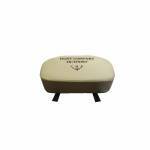 Keeps your bow off the ground and in a safe place. ..
Keep your gun off the ground and in a safe location. ..
Champion’s L Core technology is an advanced, dual foam system built to distribute seated pressure and deliver outstanding seated support. Champion combines a 2.5” slim design with unprecedented comfort performance in an ultra premium, light seat. The ultra premium formula does not flatten out or take on body impressions and our handmade U.S. construction expects years of consistent field use. 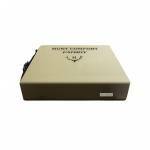 Lite Core technology is a durable and guaranteed value for hunting enthusiasts. Easy to tote afield,.. 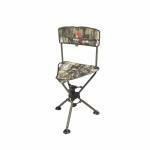 The Hunt Comfort Double Gun Treestand Cushion is made of waterproof polyester ComfortTEX outdoor seating fabric with a nonslip, abrasion-resistant bottom. Dual-density cushioning provides comfort and support. Realtree Xtra camo pattern. 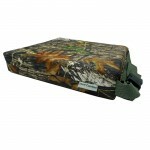 Designed as a replacement cushion for 2-man treestands Polyester ComfortTEX outdoor seating fabric is waterproof Dual-density cushioning provides 3in of support and holds form under pressure Nonslip, abrasion-resistant bottom Two 13in utility straps..
For the hunter wanting a super plush sit without the weight. FatBoy Lite is the most comfortable foam cushion made. FatBoy Lite is designed to perform like our gel technology seats with less weight. 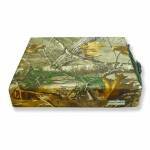 Dimensions 14" x 16" x 3" Realtree Xtra. 1 Year Total Quality Warranty. 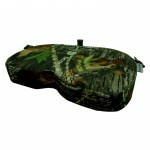 ..
Hunt Comfort Fatboy Camo Seat Cushion is a must have for all day hunting comfort. 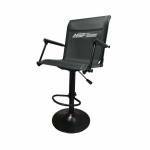 Hunt Comfort's finest seat measures 14 x 16 x 3 inches. 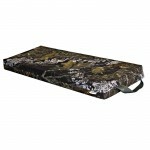 Extreme comfort for any-sized sportsman Double density foam base Double-thick layer of UltraSoft gel Covered in waterproof, stretch Comfort-TEX fabric Measures 14 x 16 x 3 inches Realtree Xtra 1 Year Total Quality Warranty ..
Hunt Comfort Fatboy Camo Seat Cushion is a must have for all day hunting comfort. 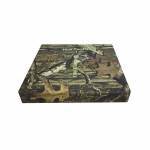 Hunt Comfort's finest seat in Realtree measures 14 x 16 x 3 inches. Extreme comfort for any-sized sportsman Double density foam base Double-thick layer of UltraSoft gel Covered in waterproof, stretch Comfort-TEX fabric Measures 14 x 16 x 3 inches ..
Hunt Comforts Supreme Replacement Seat for Most Climbers and Hang-Ons Hunt Comfort’s Hiker is an ultra-premium GelCore seat cushion specically designed to replace most traditional climbing stands and hang-on seat cushions. Our shortest seat depth cushion made. The Hiker is covered in waterproof 338 cloth; Coyote Brown in color for added camouflage. Comes with four Velcro loops sewn in for easy attachment to your stand. Dimensions: 15.25” x 9” x 2.5″ Weight: 1 Lbs. 8 Oz. Warranty: One Year ..
Hunt Comforts Supreme Replacement Seat for Most Hang-Ons. Hunt Comfort’s Outpost is an ultra-premium GelCore seat cushion specically designed to replace most hang-on seat cushions. The Outpost is covered in waterproof 338 cloth; Coyote Brown in color for added camouflage. Comes with four Velcro loops sewn in for easy attachment to your stand. Dimensions: 14” x 10.2” x 2.5″ Weight: 1 Lbs. 6 Oz. Warranty: One Year Total Quality Warranty. .. The Scout is made specifically for the predator and turkey hunters. A super-light gel seat that is trimmed down to an ergonomically shaped pattern that weighs a mere 1 lb. 6oz. 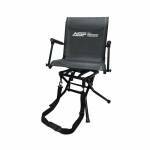 Includes side snaps for attaching to a treestand seat (connecting belts optional) and a rear adapter on the back to use with the optional belt adapter so the seat remains in the ideal location while moving. Seat dimensions 10.5" x 15" x 2.5". 1 Year Total Quality Warranty. .. 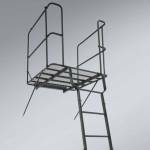 Double Bull branded ground blind hunting chair that will swivel 360 degrees to allow easier maneuverability in our blinds. Higher weight rating than competitors​ Double Bull Quality​ Truth camo fabric ..
Holding onto your bow for hours on end is uncomfortable and causes arm fatigue. And those are bad things when it comes time to draw and shoot. Our Ground Blind Bow Holder allows you to position your bow, with arrow nocked and ready, in a position where you can simply grasp it and get into the ready position with limited movement. ..
HME Archer's Ground Stake. A great alternative to wire-style ground bow holders. Easily and securely steps into the ground to provide a stable means to support your bow. 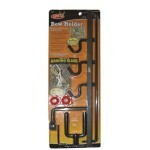 Bow holder fork rotates 360 degrees and viny coating protects bow from damage. This product has NO arrow ring. 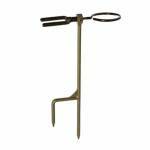 ..
Our Ground Blind Stakes are made from high-grade steel with a sharp point which will help break through tough ground. 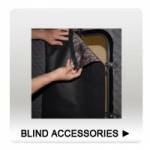 They come with a loop in the top to tie off your blind and a foot press that allows for easy installation. 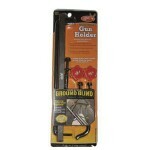 Keep your blind flap free in strong winds with our well-made ground blind stakes. 4 Ground Blind Stakes. ..